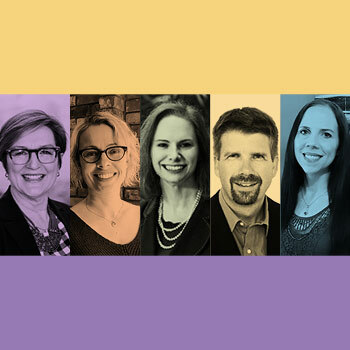 Wilfrid Laurier University is recognizing five instructors for enriching the educational experience of students through notable approaches to teaching and learning. In 2018, Laurier’s most prestigious teaching awards program was renamed the Donald F. Morgenson Faculty Awards for Teaching Excellence to honour the legacy of Laurier Professor Emeritus Donald Morgenson, a long-time, beloved faculty member who passed away in 2017. Dana Sawchuk’s time at Laurier since 2001 has revealed her strong commitment to teaching leadership in her discipline, a drive for continuous professional development and deep reflection about her teaching practice. The collaborative classroom environments she creates have inspired students and colleagues to be more engaged in their own learning development and teaching. Assistant professor Karin Schnarr serves as a mentor to her colleagues focusing on case-based teaching approaches and team teaching. She has been a leader in ICE, an experiential learning component of Laurier’s BBA program where students apply in-class knowledge to solve current business problems for Canadian companies. Lab instructor Sherilyn Van De Wynckel uses a blended learning approach to maximize students’ time in the lab and create innovative learning experiences. Van De Wynckel implements emerging technologies into her courses, allowing students to collect and engage with research data in new ways. Associate Professor Steve Sider has built an international reputation in his field during his eight years at Laurier. Sider’s work developing the Bachelor of International Education Studies program, as well as his work abroad and particularly in Haiti, has enhanced experiential learning opportunities for students and elementary and secondary school educators from across Canada. Josephine McMurray’s contribution to experiential programming – both in the classroom and within the campus community – demonstrates her commitment to mentoring and nurturing students. Nominated by a former student, McMurray has taught in the Business Technology Management program at Laurier since 2012 and serves as director of the university’s case@BTM competition. Laurier also recognizes the 2019 recipient of the OUSA Award for Teaching Excellence, selected by students. Undergraduate students at Laurier chose Assistant Professor Deanna Yerichuk for the award, which recognizes educators who excel at unlocking the potential of Ontario’s young people. Yerichuk started at Laurier in 2017, providing leadership and teaching in Canada’s first and only Bachelor of Music: Community Music program. Recipients of the 2019 Donald F. Morgenson Faculty Awards for Teaching Excellence will be honoured during a reception taking place May 31 at 11:45 a.m. in the Senate and Board Chamber on Laurier’s Waterloo campus.